Take Action! Support Development of Self-Driving Cars! DMV should NOT require licensed drivers for self-driving cars. Click to Send Your Support for Self-Driving Cars! The undersigned organizations are writing to express our strong concerns about the draft regulations for the deployment of autonomous vehicles that were released by the Department of Motor Vehicles on December 16, 2015. 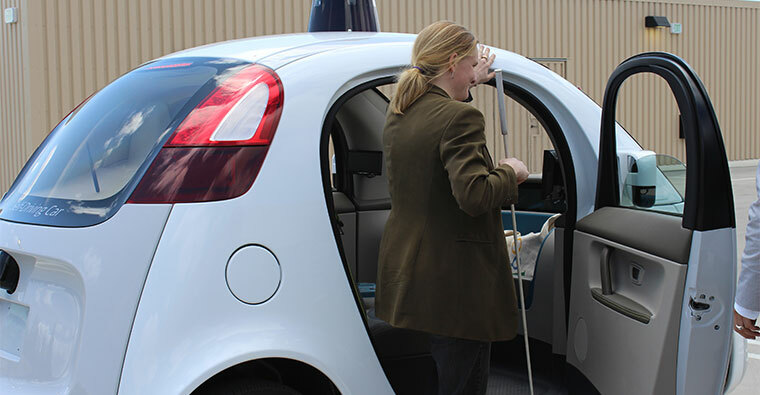 This new technology could potentially resolve many of the unfulfilled transportation needs of people with disabilities, seniors, and other Californians who are unable to obtain or retain a California Drivers’ License, but would benefit from the availability of self-driving cars. 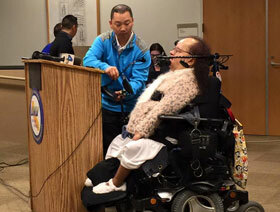 For many people with disabilities and seniors, obtaining a drivers license is not an option. The innovation of fully autonomous self-driving vehicles is nothing short of a revolution in transportation for our community and for society as a whole. We can envision a day in which we would no longer be dependent on the limitations of Para-transit, public transit, driving provided by personal assistants, family and friends for our daily transportation needs. Self-driving cars have the potential to offer us the freedom to live, learn work and play on our own terms, but only if we can actually use them as they were intended—as SELF-DRIVING! Unfortunately, the department’s draft regulations fail to authorize or encourage the continued development of fully autonomous vehicles. The requirement that any such vehicles must have at all times a licensed driver capable of taking control of the vehicle is much too restrictive. More importantly, it is contrary to the legislative intent to have California take a leading role in advancing these emerging technologies. Providing, instead, only for the continued development of semi-autonomous vehicles that would require persons with a disability, seniors, and other must arrange for the presence of a licensed driver is pointless for those who could benefit from having fully operational autonomous vehicles. The draft regulations essentially operate to discriminate against and exclude the very communities that stand to benefit by failing to encourage or offer incentives for the continued development of the technologies for fully autonomous vehicles. We urge the DMV to revise the draft regulations to acknowledge the need for access to these promising technologies and supports the rapid, yet thoughtful, forward progress of autonomous vehicles in California. 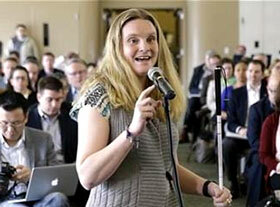 Indeed, SB 1298 expressly stated that the Legislature expressly intended to “encourage the current and future development” of the emerging technologies and “avoid interrupting these activities.” The current version of the draft regulations fail to meet these objectives and impose a de facto prohibition against fully autonomous vehicles. We are convinced that merely preserving the status quo works against the interests of millions of Californians. For these reasons, we object to the Department’s proposed draft regulations dated December 16, 2015. We respectfully urge that they be substantially amended to expressly encourage the development of fully autonomous vehicles. Giving Californians with transportation barriers the right to be the primary occupant of such vehicles without taking such steps to ensure that a licensed driver is a passenger is present at all times is critically essential in overcoming transportation barriers that limit our ability to fully participate in society. Click here to offer your support for the development of self-driving cars and add your organization to the list of supporters. Visit the CFILC Facebook page or the Disability Organizing Network Facebook page to see photos from the DMV hearings, back on January 28th and February 2nd of 2016. It is important that the California Department of Motor Vehicles understands that there is widespread support for the development of the Self-Driving Car. Please add your organization’s name to the list of disability and senior organizations that support this effort. Click here to see complete list of organizations that have signed on as supporters. I am authorized to complete this form of support on behalf of my organization.